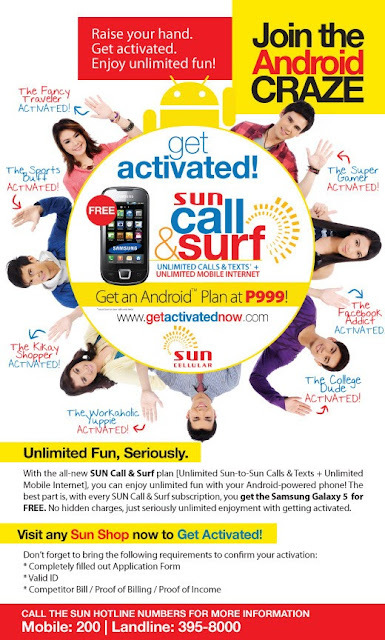 Experience Unlimited Calls & Text* plus Unlimited Mobile Internet** for only P999. Visit the Sun Shops now. Basically, call & surf is a combination of Plan 350 and iPlan 649.